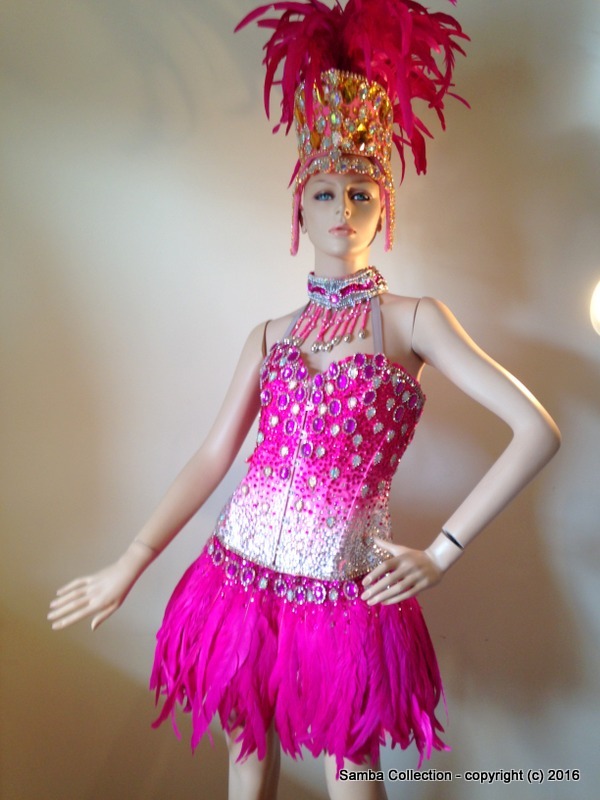 This samba costume will be a hit at any party or dance event. Brazilian elegance at its best! A beautiful white and silver angel-like costume is sure to turn heads. Sheer, beautiful, and sophisticated. 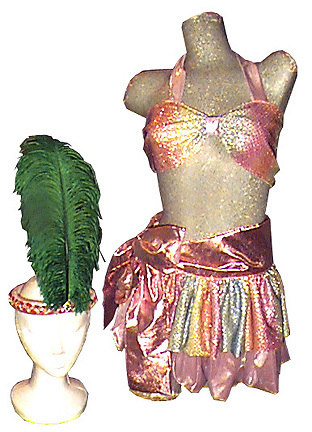 This costume is a simpler costume for group shows at a more moderate price. 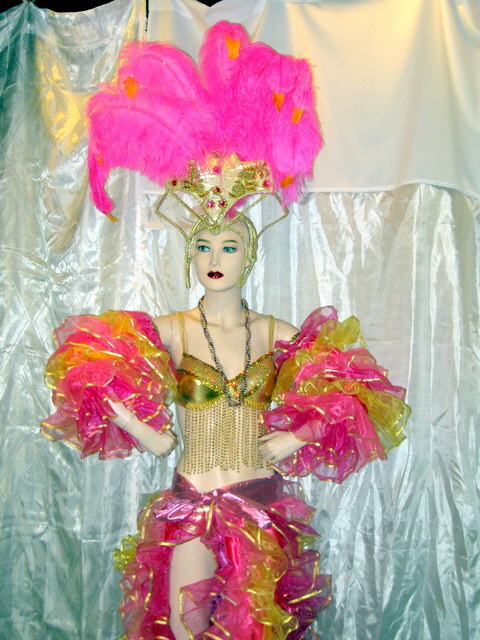 This is a costume inspired by the costumes that Doris has designed for SambaLa Samba School parades throughout the years. 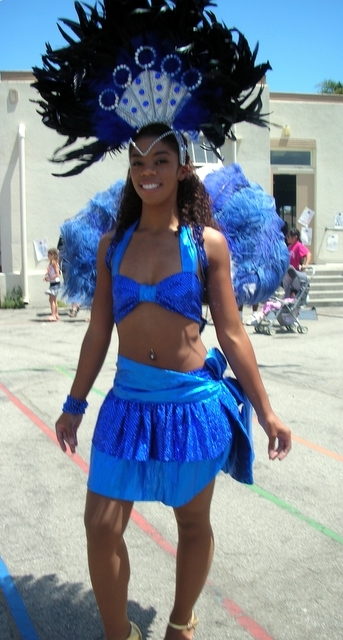 "Alas" are groups of people wearing the same costume. This is a new direction for Doris making costume variations for dance groups. 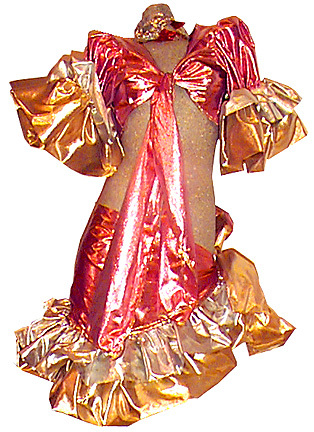 This is a great choice for a group wanting to have a variety of costumes. 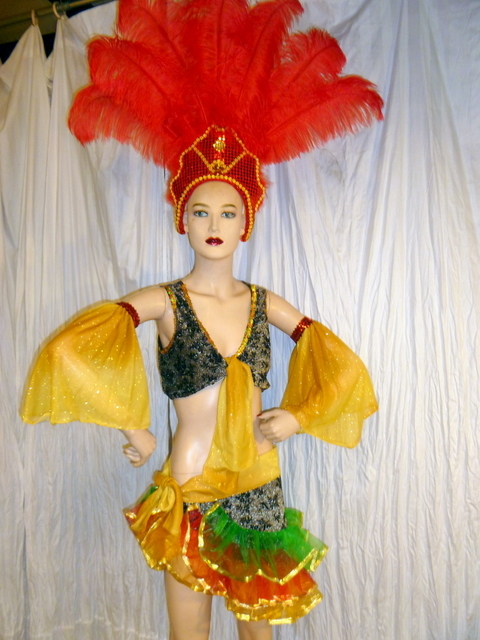 This is a gold and silver-inspired design with a very unique headpiece. A very cute top in the style of the Brazilian flag.